Normally, simple parts, 5- 7 days, complicated parts, 7-15 days. According to QTY and the complexity of drawing. We will follow up goods for every customer and help solves problem after sales. Full range of extrusion grinding machines, EDM machines, CNC machines, and so on. Usually 5-15 days, it depends on your order and drawings. 1. Material to process: aluminum, stainless steel, brass, copper, tungsten. or according to samples or drawings. 3. Equipments: CNC milling, surface grinder, internal- external lapping machine, etc. 4. Parts are used on automobile, computer, phone, electronic equipment and products, aviation, etc. 5. 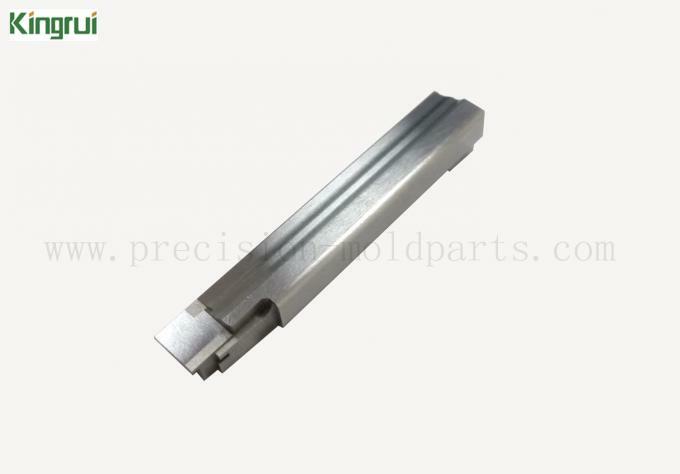 We are able to supply non- standard precision mold parts machining, surface treatment such as PVD coating and DLC coating according to our customers' requirement. 6. Our products have been exported to Japan, America, Canada, England and Italy, and we can assure the quality. 1200-1500 pcs monthly of suifficient production capacity enable to meet your demand. Experienced engineers, precision machines, Repeated strict inspection to ensure quality. Sufficient production capacity and strong project management to ensure on- time delivery. Meet export requirement: According to customer’s required.